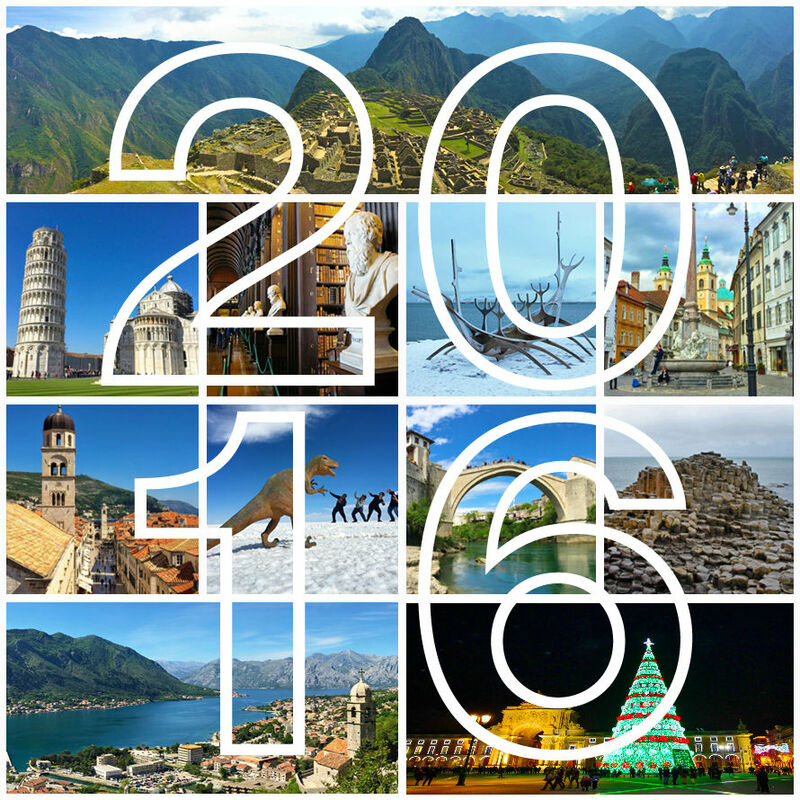 2016 was another exciting year of travel for us at Road Unraveled! We’re actually writing this post from our hotel in Portugal, so this also marks the third consecutive year of welcoming the new year in another country. We spent New Year’s Eve 2014 in South Africa and last year we were in Iceland for New Year’s Eve. 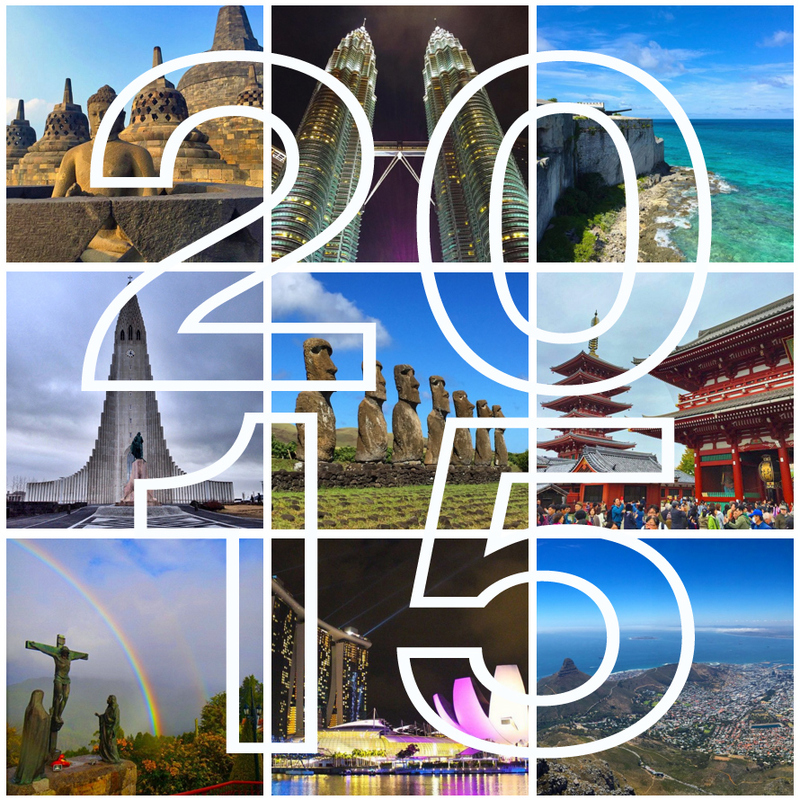 This year we visited 11 countries, a number that topped both our 2014 and 2015 totals. We didn’t do as much domestic travel (unfortunately, we have a limited amount of vacation time with our day jobs) but we certainly made the most of our available days and weekends. We started 2016 in Iceland with a New Year’s Day tour of the incredible Golden Circle. In fact, one of our favorite memories from that trip was seeing the northern lights at dawn on January 1st. A great way to start off the year, indeed! April has become a big travel month for us in recent years, although not necessarily on purpose. In April of 2016, we went to Italy, Slovenia, Bosnia and Herzegovina, Croatia, and Montenegro. The summer of 2016 started with a trip to Ireland and Northern Ireland in July and ended with a trip to Peru and Bolivia in early September. Our work schedules picked up after that, so we were unable to get away again until after Christmas, where we will ring in the New Year in Porto, Portugal! Here is a list of where we went this year. Stephanie: It’s so hard to choose, but Iceland still reigns supreme for me. Visiting in winter brought an entirely new kind of magic than what we experienced in the spring of 2014. Snow-covered waterfalls, fireworks in a blizzard, and warm lights everywhere just made the country come to life in a whole new way. Adam: My favorite would probably be Kotor, Montenegro. This is tough because there were a lot of places I liked this year, but there was something exciting and rewarding about the climb up the stairs that line the walls of Kotor. The weather was beautiful that day, and the view of the bay was incredible. The photos came out even better than I had hoped! Stephanie: Of everything we ate, the scones from Camerino in Dublin are still my favorite. So different from the stale, crunchy scones I have eaten on so many occasions, these were warm, soft, and flavorful. Served with fresh butter and jam, if there is one thing I could learn to perfect in such a way it would be scones served exactly as they do at Camerino. Adam: I would have to say my favorite meal was the Cevapi in Mostar, Bosnia. I had never had this dish (or even heard of it) but it instantly won me over. It’s little beef sausage links that basically tasted like hamburger meat in sausage form. Served with warm pita bread, French fries and Turkish coffee, definitely the winner! Stephanie: We took a lot of great tours this year, but there are three that are undoubtedly the most memorable for both of us. Our Ljubljana food walk with Ljubljananjam gave us exactly what we look for in any tour—history, food, wine, and real love for the city we were visiting. We loved how personal our experience was, and we appreciated how our guide Alenka went above and beyond to be sure we learned about the history and food that are so connected to Slovenia’s culture. Paddywagon Tours provided the exact opposite of small and personal—it was a big bus tour designed to shuttle curious tourists between Dublin and the Cliffs of Moher—but our guide, Paul, brightened the day with his great singing and sense of humor. He was accommodating, friendly, and full of ideas and stories, and he turned what could have been an impersonal trek into a day that was truly wonderful. We also absolutely loved our trip to Sintra with Portuguese for a Day. Andre is so personable and has a true passion for his country, and he really made us feel connected to Portugal. We never felt like customers or even guests with Andre; it was like spending a day catching up with a good friend we hadn’t seen for a while. Any tour that leaves you feeling so happy has to be at the top of the list! Stephanie: We had a great time chatting with several people we met during a food tour in Venice, and when the tour was over the whole group of us split three bottles of prosecco while sharing stories about ourselves and our travels. It’s the perfect illustration of why we love to travel: there is no better way to meet new friends, learn about different places and cultures, and recognize just how much you have in common with others. I’m so grateful we all happened to be on the tour together that day. Sipping Italian wine and laughing in the sunshine with new friends is a great way to remember 2016. Adam: Exploring Machu Picchu, wine tasting in Tuscany and walking on Giant’s Causeway were all fantastic, but watching the sunrise over Lake Bled in Slovenia is something I’ll always remember. We were the only two people there that morning, so I’ll never forget the peace and tranquility we experienced as the sun came up and the sky reflected in the water. Stephanie: I’ll never forget when I got food poisoning in La Paz on the last day of our trip, but I sure would like to erase it from my memory. We had such a fun day planned, and I spent most of it regretting every bite of the previous night’s dinner. Adam: We saw some creepy satanic rituals in La Paz on the side of the road. It was unexpected and a little startling to see a bunch of people standing around huge fire pits on the highway, especially when we found out what the people were doing! Just because something seems challenging or complex doesn’t mean you should skip it. We don’t have unlimited time to explore the world, so our trips often make the most of tight schedules and complicated itineraries. Our trip to Slovenia almost didn’t happen because the careful balance between time, budget, and tours resulted in a really undesirable itinerary—we woke up in Venice at 1:30 AM for a 2:30 shuttle to Bled, and we returned to Venice 21 hours later, which made for a very long day with no sleep. In retrospect, it was all worth it for the beautiful sunrise over the lake and the great tour we took in Ljubljana. It would have been easy to skip Slovenia and spend an extra day in Venice. We caught up on sleep, but we’ll never forget how wonderful that day turned out to be. In addition to our travels, we made a lot of progress with our website this year. In 2014, we had just one blog post. 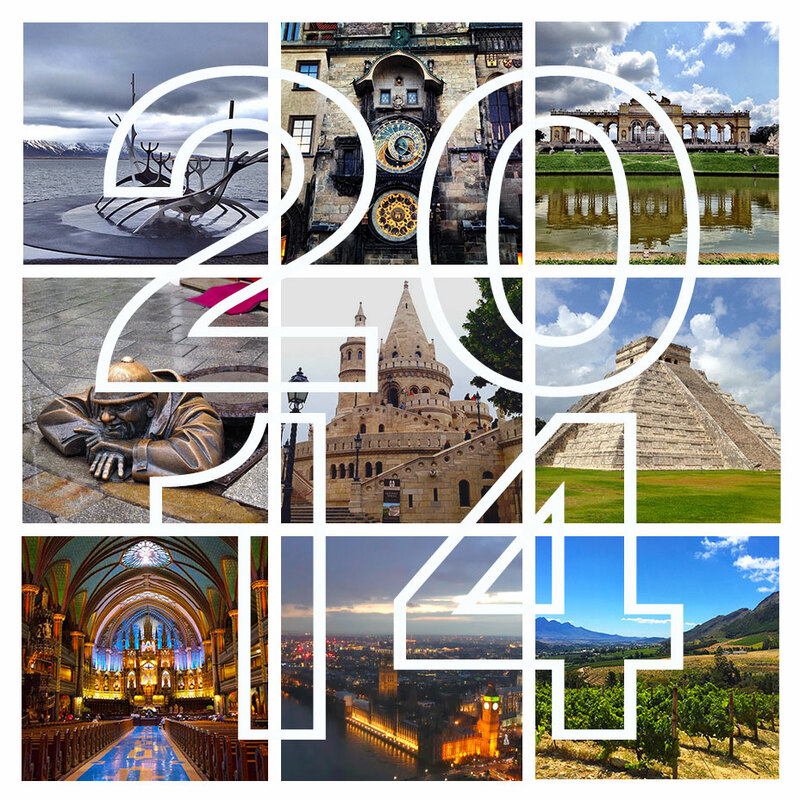 In 2015, we wrote 22 posts. As for 2016, including this, we churned out a total of 43 posts! We also launched our Guest Author series and began sending our monthly email newsletter this year (be sure to sign up for that if you haven’t already!). So, after a huge year like 2016, what’s in store for Road Unraveled in 2017? 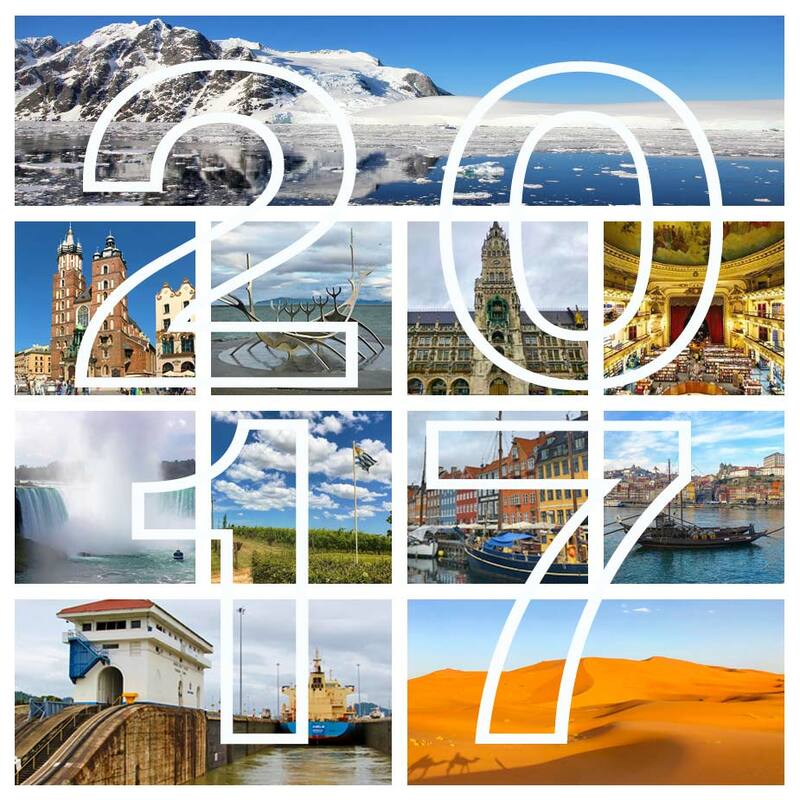 We don’t think we’ll be able to top the amount of travel we did this year (or even in previous years) but we definitely have some destinations we hope to cross off our list in the coming months- and we hope to add a lot more information on how you can take a different vacation next year. Stay tuned for details!